The Monitor section groups configuration settings for Veeam ONE Monitor. 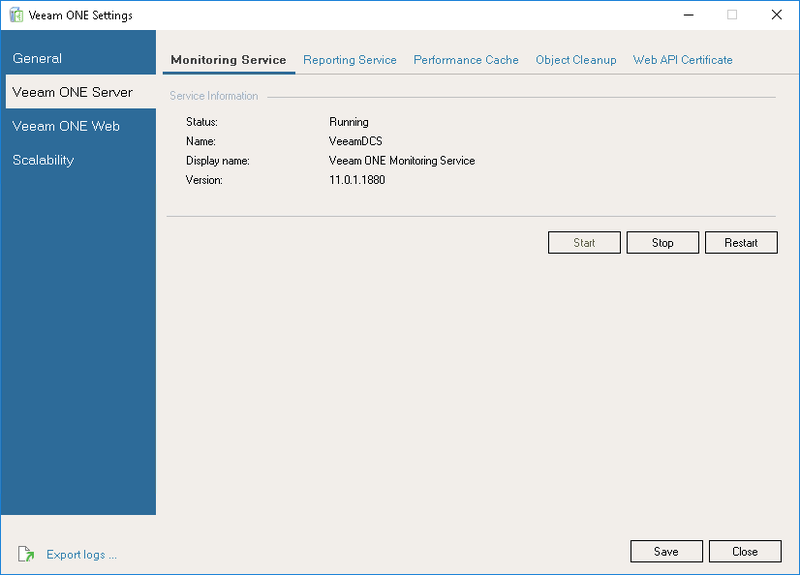 On the Service tab, you can start, stop or restart the Veeam ONE Monitor Server service. These operations may be required to complete Veeam ONE configuration updates. On the Performance Cache tab, you can change the path to the directory in which performance cache is stored. After you change the directory, switch to the Service tab and restart Veeam ONE Service. 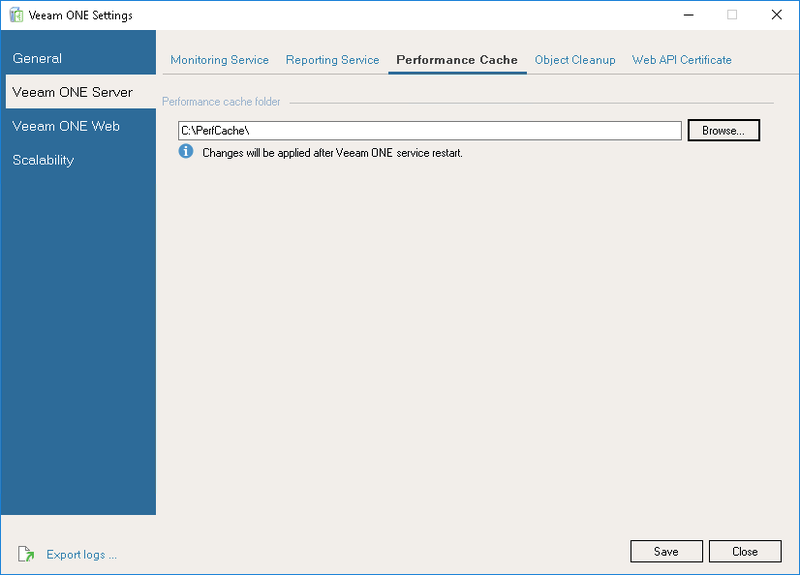 The initial directory to store performance cache is specified during installation.